We at Five Star Alliance work tirelessly to ensure we bring you the best luxury hotels selection and information regarding amenities, location, and highlights so you are confident that the hotel you choose will exceed your expectations and serve your needs. Sometimes, however, you are left with a few questions that go unanswered, and that’s why we’re here. Be sure to explore our new blog series ‘Your Questions Answered’ to find answers to real questions submitted to us by our clients regarding traveling with kids, pets, the best beach hotels, and much more. Question: We are visiting Victoria and require a handicap accessible room which has a walk in shower and grab rails in the shower and bathroom. Which hotel do you recommend? 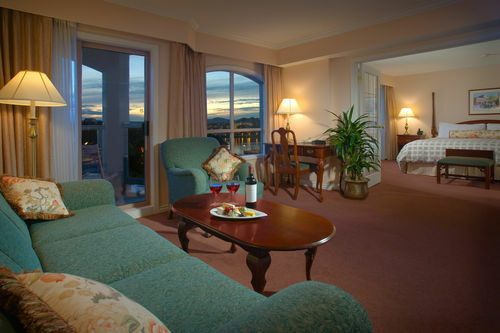 Answer: The Hotel Grand Pacific has handicap room options that would fit your needs. The Pacific Suite has a harbour view and can have grab bars in the shower/bath tub installed. However a walk in shower is not possible in this type of Suite. A walk in shower is available in the "accessible" Victoria Rooms. These rooms have one queen sized bed, lower to the ground as they are designed for guests in a wheelchair, and the view is a residential view. Please be advised that the rates and availability are subject to change prior to making a reservation.